If you aren't hearing as well as you used to, find a Hearing Care Practitioner and schedule your FREE hearing evaluation. If a loss is present, it is suggested that you follow your Hearing Care Practitioner's recommendation. Hearing aids may be the best treatment option. With the help of hearing aids, sounds on the road will be strengthened and your auditory system will be kept sharp. Without a healthy auditory system, your brain will forget how to understand different sounds. Decrease the car radio volume. Keeping volume low is good for our remaining hearing. You'll have mental energy and clarity to concentrate on other sounds. Adjust the volume before you set out on the road, so you are not messing with the controls while driving. Ask passengers to keep the conversation low. Participating in any activity other than driving means your attention isn't fully on the road. Keep the car window closed to minimize road noise. The air and noise from the road can be reduced by simply keeping the window closed. Focus on driving completely. Texting, eating, applying makeup, etc. can wait until you arrive at your destination. Have your eyes examined yearly and wear prescription eye wear when you drive if necessary. Consider a large rear view mirror. Drivers who wear a hearing aid or can't pass the hearing test are required to use a full-view rear view mirror in some states, such as New York. Look for blinking lights on vehicles and railroad crossings. Check your rear view mirror often for vehicles approaching your vehicle from behind. 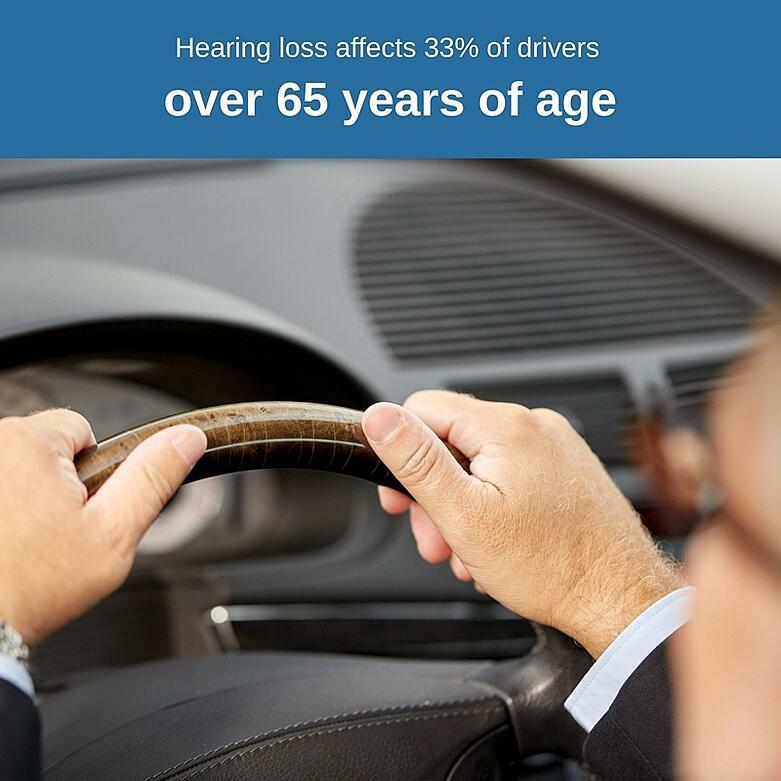 Whether you hear well or you have a slight hearing loss, driving requires a lot of responsibility. 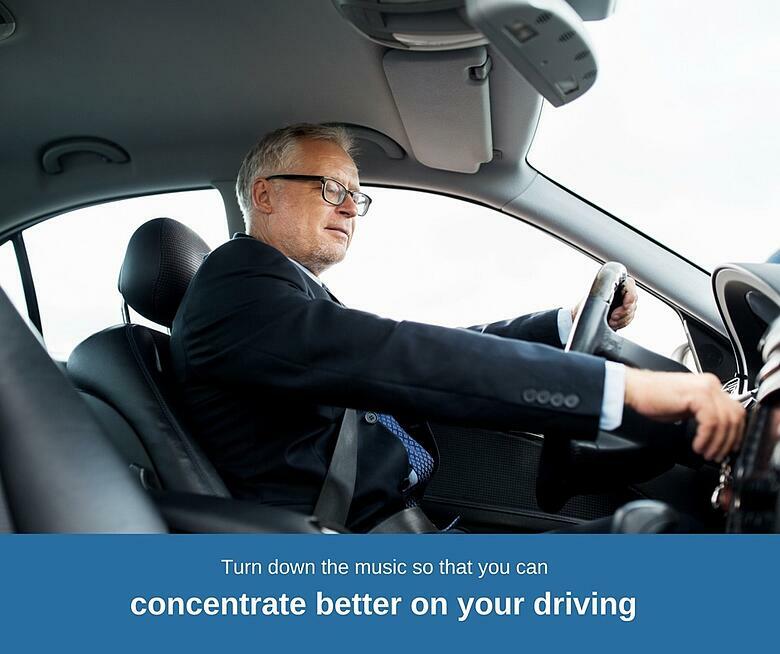 Reduce your distractions, rely on visual signals, and find a Hearing Care Practitioner who can help you hear your best when you're behind the wheel as well as when you're not on the road. When you get behind the wheel, you are not only driving to protect yourself but to protect those around you. If you suspect you may have hearing loss, it is time to have your hearing checked. Visit a Hearing Care Practitioner today to determine if you have hearing loss and if you are a candidate for hearing aids.